My bond with Jacksen began just about a year ago now. October 11th, 2015. I took a pregnancy test mid-morning. I really wasn’t expecting it to be positive since it was only a few days after my missed period. I couldn’t believe it! I was so happy and couldn’t wait to share the news with my husband and our first-born son, Aiden. I was over the moon knowing Aiden would have so much fun being a big brother. But, I was also very scared. 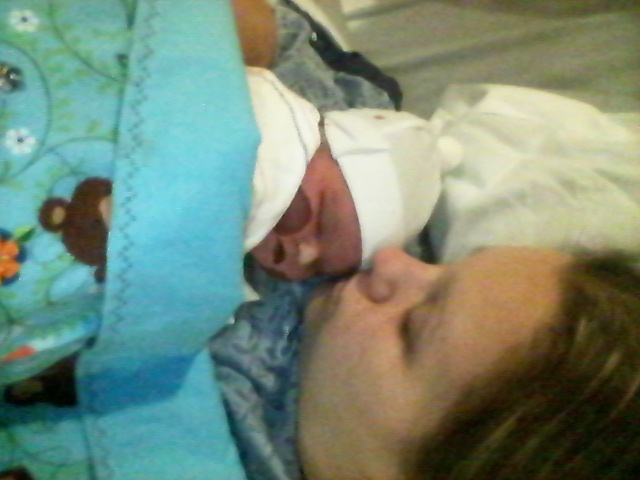 My pregnancy with Aiden was a nightmare and he was born 6 weeks premature. I went home without a baby in December of 2013. He spent 11 days in the NICU. It was a miracle for how early he was. So, of course, when I became pregnant for a second time, the stress and worry started immediately. I was blessed with a pretty normal pregnancy with Jacksen, surprisingly. Compared to Aiden, it was a breeze. Just a little over the half way mark of Baby Jack’s arrival, my husband received a new job in Vegas. I knew it would be hard to move from California to Nevada in my 3rd trimester, but I tried to remain calm and positive, because I knew this move was the best thing for our future and our boys. We had to jump on it. Our move was during my 36th week of pregnancy, and we were thrilled I made it past 33 weeks this time. While getting settled into our new home, I was waiting for my insurance to go into effect. My first appointment with my new insurance and doctor, was June 1st, 2016. I was 38 weeks and 1 day. The day my new life started. The day I became an entirely different person. 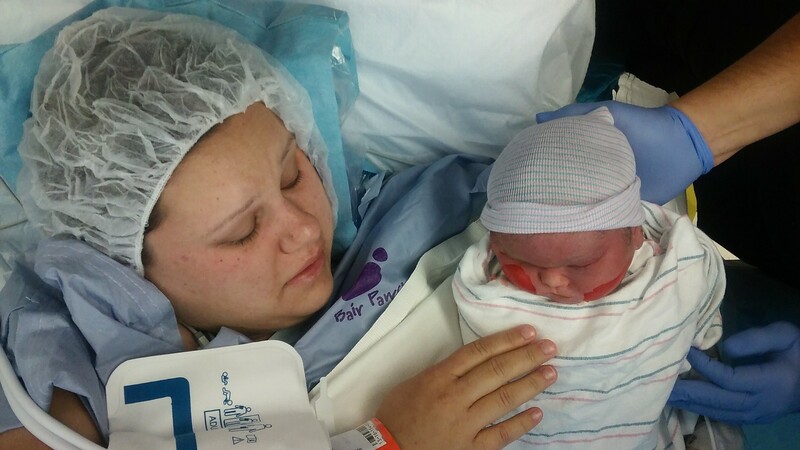 The day I saw my son on an ultrasound screen, while my vision became blurry. My eyes filled with tears. These were tears of pain, not the normal tears of joy. The day I heard silence. I was sent home. Home. How could I go home?! I won’t even bother trying to explain anything about that day. I got a call that my surgery was scheduled for the next morning due to the hospital being too busy. I didn’t know how I would possibly be able to sleep. I was so sad for my baby. My baby had died. Inside of me. What?! The most precious, safe, comfortable place in the whole world for him to be, is where his life began and ended, and it no longer seemed so safe. I felt like a murderer. And it made me sad and guilty. This wasn’t the plan. Why? Why me? Why us?! Why MY Jacksen? I barely slept and when I woke up on June 2nd, I just cried. I knew it was real. I didn’t feel my baby moving around like his normal, active self. It was true. He really wasn’t coming back. I really thought somehow, someway, his heart could start beating again. I cried during my whole shower. I knew it was one of the last moments we would be alone together. I knew I was no longer going to have him inside of my big belly and feeling his touch, every single moment. I knew once I turned the water off, I had to get ready for the worst day of my life. I seriously cannot express the sadness in me that day. Jacksen George Ochoa was born at 11:18 am. When they announced the time, I remembered when they announced Aiden’s birth time and hearing him cry. But, this time the only one crying at 11:18 was me. I kept waiting to hear that cry. I was still holding on. But the silence spoke the horrible truth. He was beautiful. He looked just like me as a baby. I was so happy because Aiden resembles my husband so much. How could a baby so precious be born sleeping? I spent the entire day with him. Jalen’s Gift Foundation made the day so much more peaceful. Their support and love helped ease this horrible reality. Seeing Aiden meet his baby brother was the best part of the day. He was so happy and couldn’t stop staring, while saying “hi baby”. The last hour spent with my Baby Jack, it was just the two of us. Just like it had been the past 38 weeks. I’m forever grateful for that alone time with my baby. What I would give to hold him again. There’s not a moment that passes where I’m not thinking of him. Most days, the best times are the hardest times. I often stop and think about how much differently it would be if there were four of us all together. It makes me sad when I think about how much Jacksen would love to be here with us and enjoy all of our family time. My Jacksen changed me. At first, I didn’t like not being my “normal” self. Now, I’m realizing that I need to love the new me. Embrace my new life. Set healthy positive boundaries with those around me. I’m working on being mentally healthier by no longer putting others feelings before my own, nor do I care about othersâ€™ opinions of me. I’ve always struggled with both, so to overcome even the smallest of things, is a baby-step in the right direction. I don’t think the guilt will ever completely subside and my anxiety is at an all-time high, but I try my best every day to push through it for all of my boys. Thank you for letting me be your mommy, sweet Baby Jack. I’m so sorry I let you down, but know my love for you becomes stronger each and every day. Watch over your big brother and wrap him in your love. He misses you, I know. Send your daddy and I strength, we could always use it. 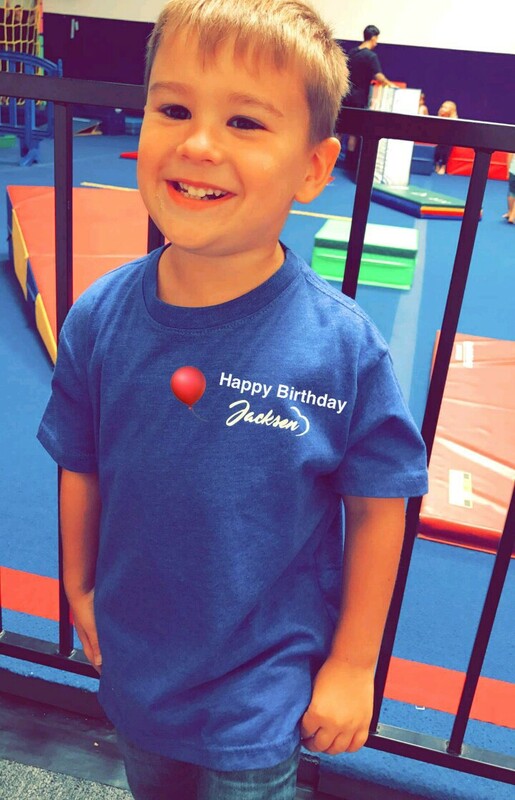 I love you more than all of the stars, Jacksen. Hold your babies a little tighter. Don’t take your pregnancy for granted. Try not to complain about the rough times, or the lack of sleep. Because I can guarantee you that myself, and every single angel mommy out there, would love nothing more than to have our babies keeping us up at night. Instead it’s the anxiety, guilt, insomnia, depression, etc. that doesn’t allow us to sleep. Exactly 11 months later, I sit here and read this, reflecting back on what I wrote back then. When I was only a measly 4 and a half months or so into this grief journey I now call my life. I am now an entire, whole, real, year and almost 4 months into it. I have been on the worst, least fun rollercoaster I have ever been on… and guess what?! I cannot get off. Literally. Every few months or so, I really think I have my life figured out; I really think I know who I am, what kind of mom I am, what kind of wife I am, what kind of friend I am. Guess what again?! I do not have anything figured out. All I know is, this past year has completely flipped our lives upside down and did a 360. When I reread Jacksen’s story, I think of how strong it makes me sound. I was. I am. At times. I struggle. We struggle. I’m certain my family and I are a part of every statistic there is for grieving families. I’ve read that 28% of bereaved parents are no longer partners, 39% have had hospitalizations, 53% had newly diagnosed chronic health problems, 35% of mothers and 30% of fathers suffer from PTSD, and the list goes on. My husband and I separated for 5 months, just 9 months after our loss. During our time of separation, I really thought I was a Rockstar. I got a job for the first time in almost 4 years, I went on a diet and lost 30 lbs., and I was raising my first born, while we adjusted to our new life. I was trying to find myself and find my happiness again. I thought I had. 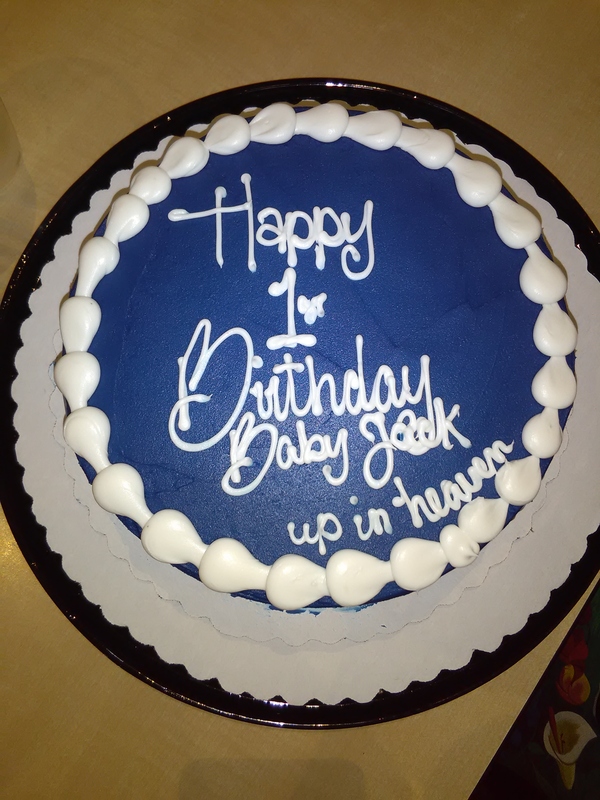 Jacksen’s first birthday came and went. I was fine. Better than anticipated. The days leading up to it were filled with anxiety. I thought I was going to be a mess. Looking back now I realize, I was just so preoccupied with a million other things, I never really took the time to sit and think about it. I think I did that on purpose, subconsciously. 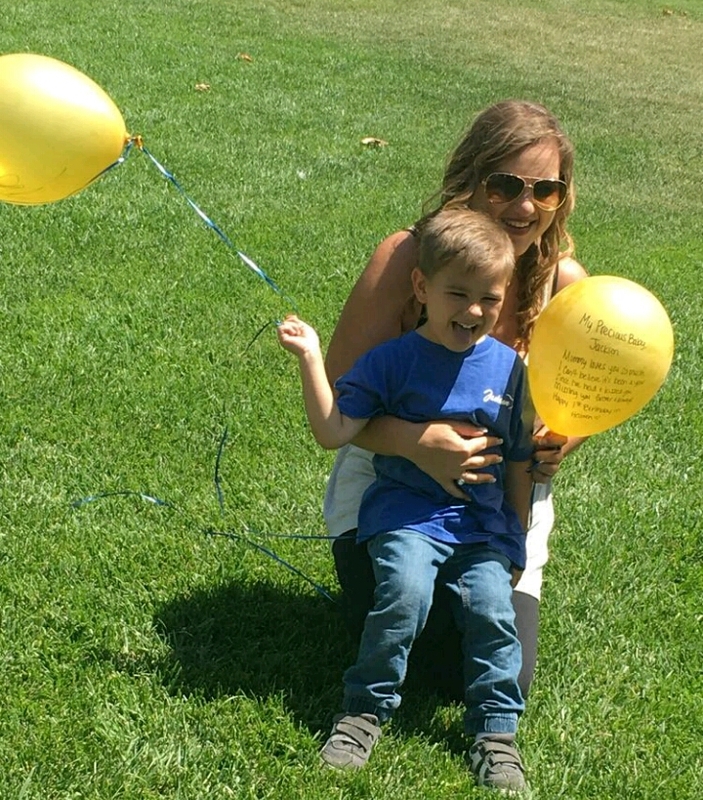 I had a little celebration for him at a local restaurant where we could write messages on balloons and release them up to him. It was beautiful and just how I wanted. Shortly after, I started missing the idea of having my family together. I missed my house. I missed walking to my mailbox – it sounds strange, but it’s true. I missed my husband. The person I thought I was getting divorced from. I missed it all. We had been co-parenting well, from a distance, and seeing each other a few times a month, really enjoying each others’ company. We decided to work on things and agreed there was a future for our family that we wanted to start fighting and working hard for. I had decided to leave my job and move home, but as everything was moving forward and I could see the light in my future, my selfishness and poor choices from the previous months surfaced. Right then, my life shattered, again. This time was different. It sent me into a very low state. The lowest of the low. I was scared. I couldn’t see a future anymore. I could not find my life’s purpose. It was dark and lonely. Nothing was enough. Not even my children. Until, a friend made me realize that Aiden’s future would be a hell of a lot worse without me in it. I knew then, it was time for the hospital. I couldn’t stop being scared. It was all I was feeling. I knew I needed professional help because I never wanted to be that low again. I’ve been home for a month and half now. My husband and I are doing great, and I know I’ve made the right choice to work on my family and fight to not become another statistic. I thought it would be hard to be home. My home in Las Vegas is where my family of four was supposed to grow. My home, where I was supposed to bring Jacksen from the hospital. My home, where I thought my marriage had ended. But, it’s been surprisingly peaceful and I feel completely safe – I’m not scared anymore. It’s definitely brought me much closer to Jacksen. I feel his presence here. He is with us all of the time. And he does complete our family. It just feels right. If this year has taught me anything, it’s gratification. Or I guess I should say, learning to be more grateful. I’m also learning that this is not a race, by any means. And by that I mean, grief. It never ends, so there’s nothing to race for. I’m not sure I ever really gave myself time to mourn the death of my child. I was so focused on fixing me, finding myself, drowning in bitterness, desperately grasping onto any type of “normalcy” I could find because I did not want my life anymore. I did not want to be a depressed mother. I did not want to be the 1 in 4 who had to cremate their baby. My life wasn’t and still isn’t fair. And what I found is that, everywhere you turn, every person you get to know, has troubles. I couldn’t, can’t, never will, find perfection. It sounds so corny, writing it, admitting it – makes me feel immature and stupid. Obviously, we’ve all heard “life is unfair” millions of times, but really having that epiphany of “the grass is green where you water it” was what I really needed. I still don’t know who I am. I am a wife. I am a mother. I am a friend to few. But, seriously…?! Who am I?! I’m not sure. I’m taking it one day at a time. I don’t need to have the answers to everything. I don’t need perfection. I need peace, gratuity, and love. And I’m still learning to find all of those things in myself. 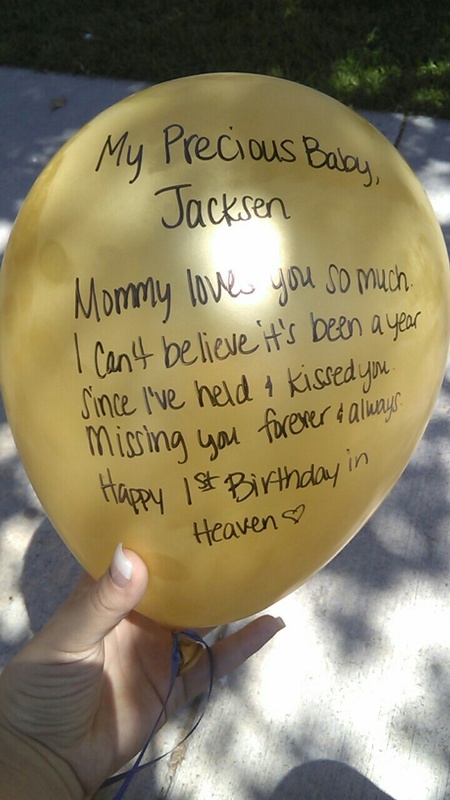 Missing you more as each second passes, Jacksen. I will forever be sorry to you for letting you down. I love you. 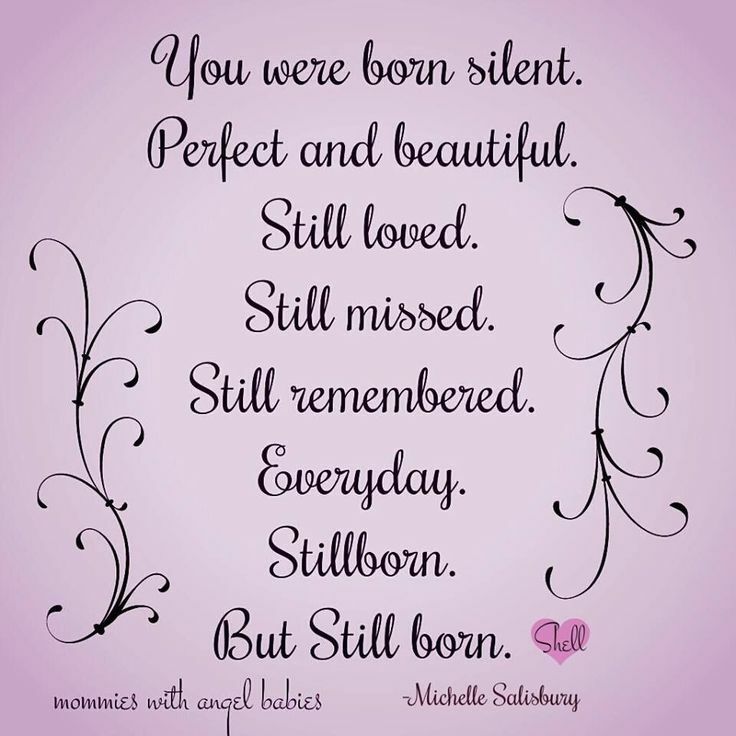 angel babies, born sleeping, BorrowedAngel, child loss, infant loss awareness, miscarriage, october 15th, pregnancy loss, still born. Bookmark.